Me and the other admin/mods fight in this topic. Members just watch. Anything they "fight" is cancelled unless an admin summons them. Okay, Now admins can do anything. Mods can summon other members, cast basic spells, team up with others, throw out basic pokemon[no legendaries], and more that I don't know right now. I got you good there, Lucario7777777! No, We must wait for the other mods. Just remember, for the party, your parents need to call mine. Okay, I know. I will ASAP, my mom is the only one that would. Alright, how will this start? Wait, I must edit the first post and I will make a post after this one. We roll a die to see what person goes first. Then that person gets to pick the duel of that round. Okay, this is an exception to the double posting. I did not try that, I just wanted 2 and got it. Whoever wins gets to do a random attack on anyone they choose. I will caculate HP and stuff.Everyone choose your pokemon! Okay, for this battle I will allow you to use a final evolution, but in the rules [the first post] it says mods can only have basic pokemon out. i.e.Chimchar in your case. But after this battle only if the mod is the one that chooses the battle gets to choose higher pokemon. Sorry for the inconvience. THis time it is allowed. Okay, sorry. I'll use Totodile, but remember, Lucario also counts as an evolved Pokemon, due to Riolu being a baby, and thus basic, Pokemon. only if the mod is the one that chooses the battle gets to choose evolved pokemon. Sp I m leading which means I can do that. AND I am an admin. Look at the first post. I can use any pokemon. Admins have more powers. That puts all concerned at an unfair advantage. 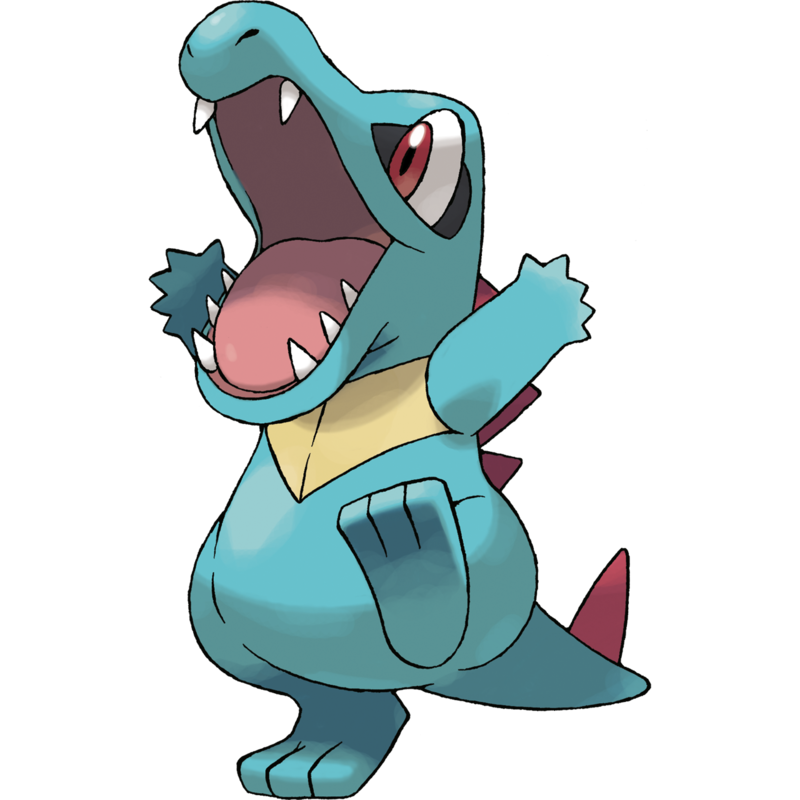 Right, after the indecision settles, Totodile is my first choice. Let's make this interesting. No TM or HM moves, unless they can be learned through level-up. Maximum Pokemon level is the final level that they can stop learning attacks in HeartGold and SouSilver. I know it's a little research, but I have to do it too. Okay. Well, the person leading from now on is whoever wins. I use Lucario. You don't need to show level. Let's make this interesting. No TM or HM moves, unless they can be learned through level-up. I used the moves my Lucario in Pearl has. Okay. If evilsnes64 doesn't post here by the 21st he is disqualified from this round. By the way, Lucario's abilities are Steadfast or Inner Focus. Inner Focus prevents flinching, and Steadfast increases speed on the turn after flinching occurs. You may pick one.